Friday Tips for Keeps: What's in a Slug? Friday Tips for Keeps: What’s in a Slug? Higher search engine rankings, that’s what. It’s amazing how many blogs, even the bigger ones that you would think should know better, don’t use this strategy when it comes down to high search engine ranking optimization. A slug is a few words that make up the URL for your post and best describe your post or page; your URL post title in other words. For instance, the full URL (also called “permalink“) for this post is “https://trafficgenerationcafe.com/what-is-slug/“, where “what-is-slug/” is the slug itself. Your slug is one of the ranking factors that the search engines use to determine the relevance of your post to a search query and can add a lot of weight to whether your post shows up on the first page of Google, the second, or none at all. The other day I was running an SEMRush report on my blog to see which keywords I am currently ranking for. To my surprise, one of my posts was ranking for the keyphrase “list building tips“.  The reason I was surprised was because my post managed to get on the first page of Google out of some 99M results with not a single anchor text link, no keywords in the title or description – with just a keyword-rich slug “https://trafficgenerationcafe.com/list-building-tips/“. I, since then, “fortified” my rankings by adding that keyphrase to the title and building some anchor text links to it, but initially it was nothing but the slug that got me there. Write them for search engines, not for people. Use your keywords – the fewer additional words you add to the mix the better. Don’t add stop words like “and”, “it”, “some”, “at”, etc. Use “-” as a separator between the words. Slugs only seem to be unimportant when it comes down to search engine rankings. However, you never know what will tip Google scale in your favor, so I strongly suggest you start paying closer attention to your slugs. Are you taking advantage of your slugs? Comment to show me that you’re alive! What Are Blog Tags and What Can They Do for Your SEO? You’re welcome, Steve. Thanks for stopping by. Ana that is such a great tip. I would always just write my title and wordpress would automatically make the slug whatever my title was. This certainly made for some darn awful long URL’s. Nothing I can really do about those now, but moving forward I am going to start putting just my article keyword as the slug. Now that I know the URL and Title don’t have to be the same thing. Thank you, Damon. At least you know for future posts! This is quite an interesting topic, Ana. I have been fiddling around with some of my post urls whilst editing newer posts, and rewriting some of the older posts. I was surprised with some of the results. There were a few pages which after changing the title url(and doing some editing of the post) went up on page one for certain search terms. I had the top three spots on page one for a certain search term(A little bit hard to explain how that happened) . Only the big G has now taken top billing(Top spot). The truth is, I do a fair amount of researching, editing, polishing etc. This probably was the culmination, of all those other factors after a period of time. And I second the vote(From one of your other guests) that your theme(Thesis) looks great. And it’s very smooth(As in navigation wise). Thank you, Daniel. Interesting observations you have here regarding your experimenting with polishing and editing. Well done on the results! Really nice one Ana. Slugs are one of the few things you can write for SE and not for people. Thank you, Christian. It definitely is. I agree that it is a good idea to optimise the slug to contain a phrase that you are targeting. However, if the post title and slug are the same then the phrase will be targeted even better. In which case, the best thing to do is name the post well and leave the slug to mimic it (using /%postname%). Hi, Fiona – I saw your follow-up comment and then it disappeared on me, so I’ll try to answer your questions as I remember them. Related posts plugin: it depends on which plugin you are using, but most of them have options to pull the related posts from categories or not. Changing your permalink structure will certainly affect your links – before you do that, I would advise to install a redirection plugin that will automatically redirect the old permalink structure to the new one. The plugin that I use on my blog is simply called Redirection. Let me know how it goes and if there’s anything I can help you with. Slugs are great, and definitely not used as well as they could be. I am often amazed by large websites like Yahoo! answers that have very un-friendly SEO slugs. Still for the small wordpress build, you provided some great starting tips! Thank you, Nick. You are right, this is a simple way to do it. My WP puts in the year and month ie. 2011/06/. Is there any reason to include this in the slug? As is or do I put hyphons in between? So are you saying it’s perfectly fine to go back and change the slug on an old post? Is there any reason you wouldn’t want to do this? Thanks. Of course the old page will no longer be found, so don’t do it to pages that are receiving a lot of traffic. On those that aren’t, you will probably receive more traffic. Slugs are definitely an important part of your SEO strategy, well they should be. I am still shocked to see so many people using the default WP slugs, like /?p=89. What are these people thinking? It is so easy to fix this and yet even some very popular blogs still do it. I can understand a newbie who doesn’t know doing this, because I was there just a few months ago. Anyway, anyone who reads this can now fix their problem. Thanks for sharing Ana and have a good one! Thank you, Ian. I agree, it is so easy to do and worthwhile. Enjoy what’s left of your weekend. You can also edit the permalink in WP by clicking on “permalink” and edit it from there. It gives you more flexibility. Now I know the proper term. Glad this helped, Daniel. The post name often contains many unnecessary words that don’t help your ranking. Thanks so much Ana. I was just letting WP build the slug for me. I’ll start optimizing them now. As always, you’re a star! I totally agree that slugs are powerful SEO magnets. I use a plugin called SEO Slugs for this and it seems to work well. However, I always double check the Permalink before I publish. There have been a few times when I’ve needed to adjust it to my liking. I just do them manually, then there is no need for adjusting anything. There are plugins that help you make this easy to do without you coming up with this text. The slug is powerful and make your post get higher rankings. I have a pretty specific question for you. Do longer slugs hurt for SEO purposes? Steve, shorter slugs are best. Note that I said “Don’t add stop words like “and”, “it”, “some”, “at”, etc.” – remove those – they are useless. Look at the URL above – the slug is “what-is-slug”. So “what-is-slug-how-to-create-slug” is too long. While you should use keywords, you don’t want to jam in as many as possible. If you want the “create” bit in, then at least remove to the “how-to”. You are a great resource for any blogger looking for traffic in any niche..